Recently, IMA Dwarka celebrated its Annual Day at Lebua. On this occasion few session were held by the doctors. Dr. Mukund Khetan on topic Management of Morbid Obesity, Dr. Sudhir Kalhan on New Horizons in minimal access surgery, Dr. Rajiv Sharma How to diagnose depression at your own clinic, Dr. Parvez Ahmed-Vision of Rockland Healthcare introduction of Consultants & Dr. Rajesh Madan on individualizing Treatment in Type II DM special focus on vildagliptin. Mr. Rajesh Gahlot-Chairman, Standing Committee, MCD was the Chief Guest and Dr. N.V.Kamat (Director General Health Services, DHS, Govt. 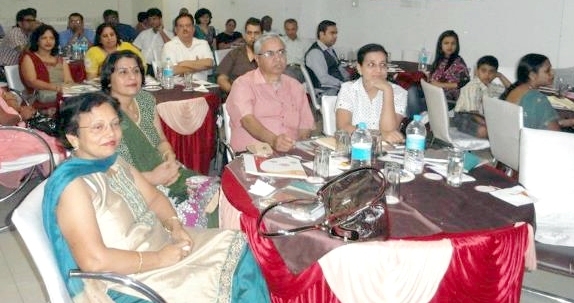 of NCT Delhi was the Guest Honour of the occasion.